In 1597, an Act of Parliament received the Royal Assent, by which a right to the free use of the BATHS OF BATH was given to the "diseased and impotent poor of England". These acts caused the city to be inundated with beggars and, in 1714, the Act was repealed - but the "beggarly stream still continued to flow". In order to control this problem but still offer support to those genuinely in need, the establishment of a Hospital for their reception was mooted. A public subscription was opened in 1723 and King George II was one of the first subscribers, giving £200 (worth £30,000 in 2011 values) [Brabazon 1888]. In 1738, John Wood produced completed designs for the Hospital to be erected on the site of a theatre. Beau Nash was requested to take them to London for the inspection of the King and the Royal Family. 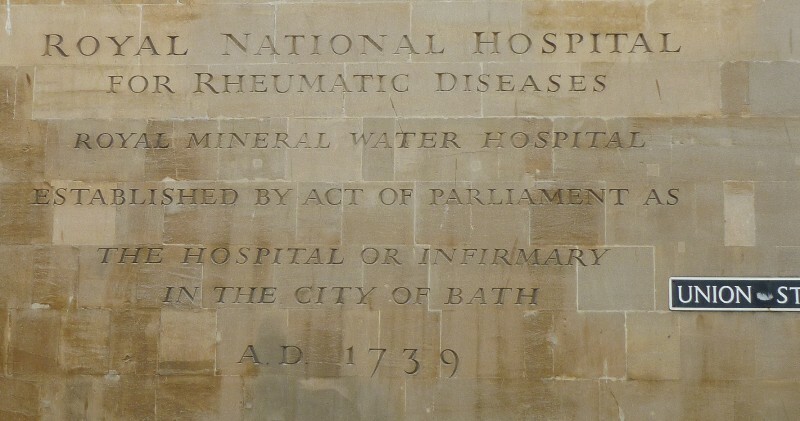 Ralph Allen offered a free supply of Bath stone to build the Hospital. Dr William Oliver was one of the founding physicians at the hospital. The building on the junction of Union Street and Upper Borough Walls. 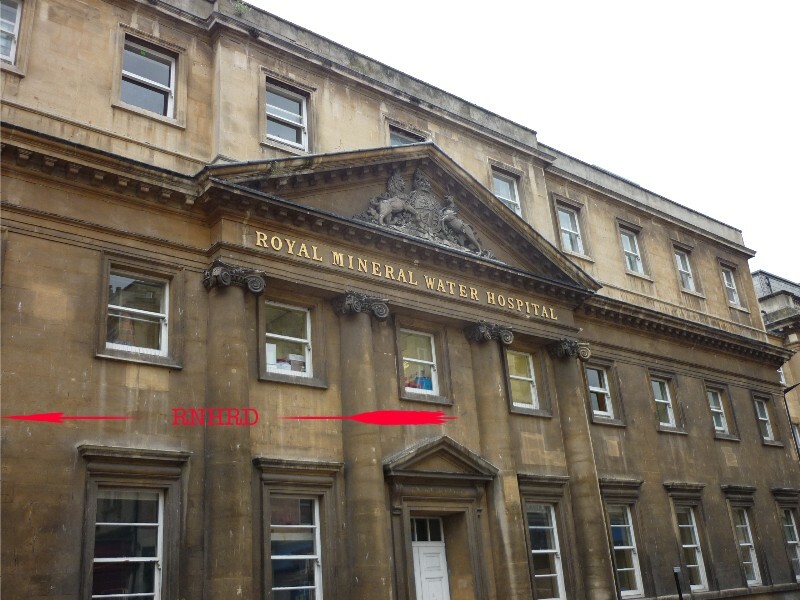 Established by Act of Parliament as The Hospital or Infirmary in the City of Bath A.D. 1739"